The purpose of this page is to encourage you to abandon the DOS box, forget cmd.exe, and to show you how to run simple built-in utilities in PowerShell instead. As a by-product you can brush-up your administration skills, and even learn a new command or two. Ping is still the first command I use when troubleshooting a connectivity problem. The good news is that you can use PowerShell as a vehicle for Ping, there is no need to call for cmd.exe. 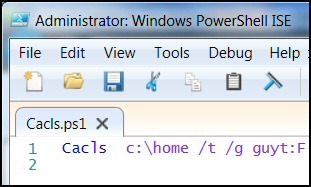 To get started search for ‘PowerShell ISE’ and when it launches, start typing the commands as you did previously. Note 1: In real life you would probably start with ping router; my problem is that I can only guess at your router’s IP address, this is why used localhost in my example. Sometimes you get lucky, PowerShell has an even better cmdlet or function than the command-line utility you used in cmd. In this case it’s worth looking at an alternative to Ping, namely a WMI class called Win32_PingStatus. Here is an example where you can ping a range of IP addresses, something you cannot do easily with pure ping. $Pingo = Get-WmiObject Win32_PingStatus -f "Address=’$IpHost’"
Note 2: With Win32_PingStatus, a result of 0 is good, it means success, the host is responding. Challenge: Change my $i values to a range on your network; you may also need to change the value for $AddrIP. See more on PowerShell and Win32_PingStatus. This is another example where you can not only use PowerShell as a vehicle to run the command, but also enhance a well-known technique by appending a cmdlet. Note 3: Here we combine the built-in Ipconfig command with PowerShell’s Select-String, the result is a more focussed output. Challenge: Swap Select-String ‘Gate’ for Select-String IP. The result will be a filtered list displaying just the default router(s) address. In this example we want just the MAC address(s). Observe how we can still use Ipconfig’s switches with PowerShell, just as we previously used them in a DOS box. Note 4: These last two examples employ PowerShell’s signature the (|) pipe command whereby the output of Ipconfig becomes the input for Select-String. See more on PowerShell and Ipconfig. The emphasis of this tool is on repairing critical operating system files. By using the /ScanNow switch you can repair any critical Windows file and the corresponding registry value. Sfc is my choice for when the operating system is behaving strangely, such as updates won’t install, or permissions seem to be scrambled. You can run sfc.exe as easily in PowerShell as DOS. While PowerShell has the edge if you need to output the results to a file, or merely copy the results to the clipboard; my objective is to give you one more reason to forget about cmd.exe and always use PowerShell. Another useful utility from the Windows\System32 folder is DriverQuery. It’s worth a place in your toolkit for troubleshooting driver problems. Once again PowerShell adds value, for example, you can filter with Select-String, and thus list only unsigned drivers, IsSigned False. You can execute these two programs in PowerShell just as you would in the cmd DOS box. The benefit is that you may be tempted to switch to PowerShell’s native Get-Process. Once you have checked the list of ‘Tasks’ you can pipe a specific item to Stop-Process. Get-Process offers so much more control than TaskList, for example you can sort, filter and select columns. See more on PowerShell and Get-Process. 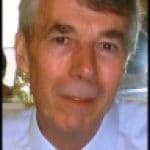 While PowerShell does not add much value here, this is a reminder that PowerCfg is an interesting utility, and valuable for troubleshooting computer hibernation problems. BCDEdit is a very difficult and specialist program to check or amend the bootloader. You would do this if you wanted an alternative to MSConfig when altering dual boot settings. 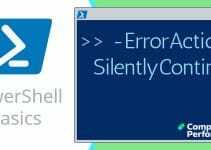 If you are going to use this utility then by now you may be more confident of handling it PowerShell than in DOS. See more on Windows 8 and BCDEdit. My thinking here is if you wish to experiment with file and folder permissions then PowerShell offers an easier way of storing the commands than using a batch file. Once you have run a command in PowerShell, especially the ISE version, it’s a trivial task to save the ‘script’ for re-use. Click on the ‘File’ menu just as you would any other program. See screenshot to the right. As with many of these 10 commands to try in PowerShell, I like to have more than one objective. a) PowerShell provides aliases so that you can run your old commands such as DIR until you master PowerShell’s equivalent Get-ChildItem. b) PowerShell adds value, for instance, the ability to sort. Incidentally, you can search subdirectories by appending -recurse. c) I wanted to leave you with a method for researching your own list of built-in executables to run in PowerShell. For example, you could try WhoAmI /all, also research Cacls, NetSh, RoboCopy or Shutdown. My mission is to persuade you to switch from cmd.exe to PowerShell. I have tried to make the journey interesting by selecting utilities that valuable in troubleshooting common Windows problems. I also want to show that in many cases PowerShell can actually enhance the underlying utility compared with running it in a DOS box.